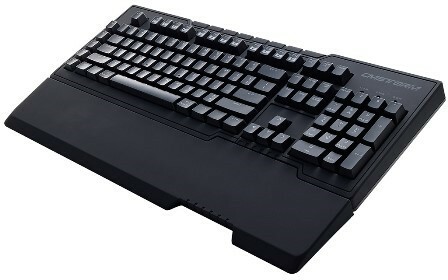 Cooler Master has recently launched the new CM Storm Trigger-Z mechanical gaming keyboard. This is actually the second time that Cooler Master has launched this product. The CM Storm Trigger-Z is an updated version of the CM Storm Trigger mechanical keyboard. It is powered by an ARM Core 32bit CPU with 72 MHz for quick response during gaming, and for recording and editing profile and macro keys as well. 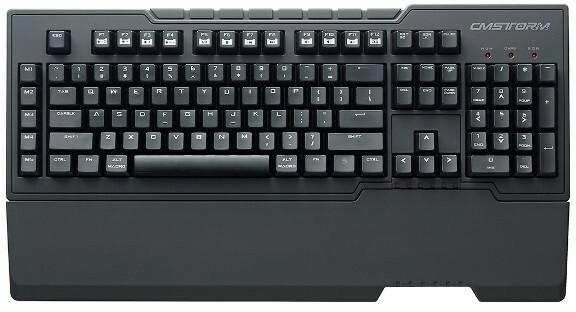 Check out more features of the new CM Storm Trigger Z mechanical gaming keyboard below. If you are familiar with the previous CM Storm Trigger Z, they are actually very much alike. The design are basically the same, well except for some few noticeable changes in the looks/color. The real difference is under the hood of the Trigger Z. Thanks to the new processor built into the Trigger Z, gamers can now save up to 5 profile and 75 macros on the keyboard. It has 128KB of onboard memory (twice the memory as its predecessor), features a powerful rapid fire engine for faster hardware macro playback, and has 64 KRO, meaning you can press 64 keys simultaneously and they still all got registered. The CM Storm Trigger-Z also features on the fly macro recording where you can records and use key combos without leaving the game. There’s also the profile switch key-combo that lets you switch between keyboard profiles instantly, and the ever handy Windows Lock Function. It features 14K gold plated ultra-low latency USB connectors and high-grade braided cable, ensuring that the keyboard maintains a steady link to the PC. It also has a full LED backlight in 3 modes and 5 brightness levels ensures gaming sessions can go deep into the night. The wrist rest is also detachable like the first Trigger. The Cooler Master CM Storm Trigger-Z comes in three different Cherry MX Switches; Blue, Brown and Red. And unlike the first Trigger where you only get a Red backlight, the Trigger-Z has Blue backlight for the Cherry MX Blue switch, White for the Brown switch and Red for the Red switch. The Cooler Master CM Storm Trigger-Z mechanical gaming keyboard will become available starting February 2014. It’s price and availability varies from one region to another. The price of the Trigger-Z is expected to be somewhere around $120 to $150 USD, or €119 including VAT. I’ll post update as soon as the Trigger-Z becomes available in the US, or gets listed on popular online stores.